This year’s Oscars may be over but you know what else deserves an award? 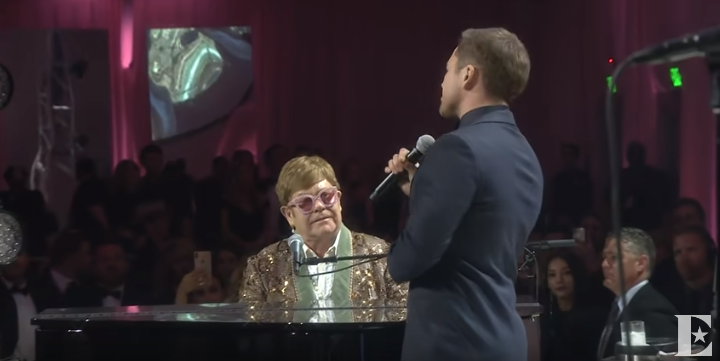 It’s Elton John and Taron Egerton’s duet of “Tiny Dancer” during the annual Elton John AIDS Foundation Academy Awards Viewing Party. During the auction, the actor suggested an impromptu performance and of course Elton John volunteered to play the piano for him. Imagine the delight of the audience. Anyone who has already seen the trailer for Rocketman already expected this to be good. Why? Because Egerton sang all the songs used in the film and even Elton John himself was blown away! Egerton said at the beginning of the performance, “It’s funny how life turns out, isn’t it?” And yes, we couldn’t agree more! 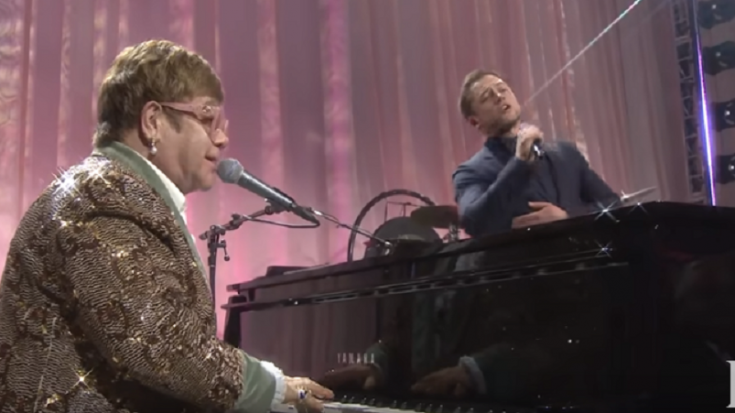 It takes a lot of guts to sing a classic hit in front of the original artist but Taron Egerton didn’t just nail it, Elton John clearly looked proud too! Egerton definitely looked and sounded like a younger version of him! This made us more excited for Rocketman. P.S. We got major goosebumps when Elton John joined in. Wow, just wow!